This will make many people happy! 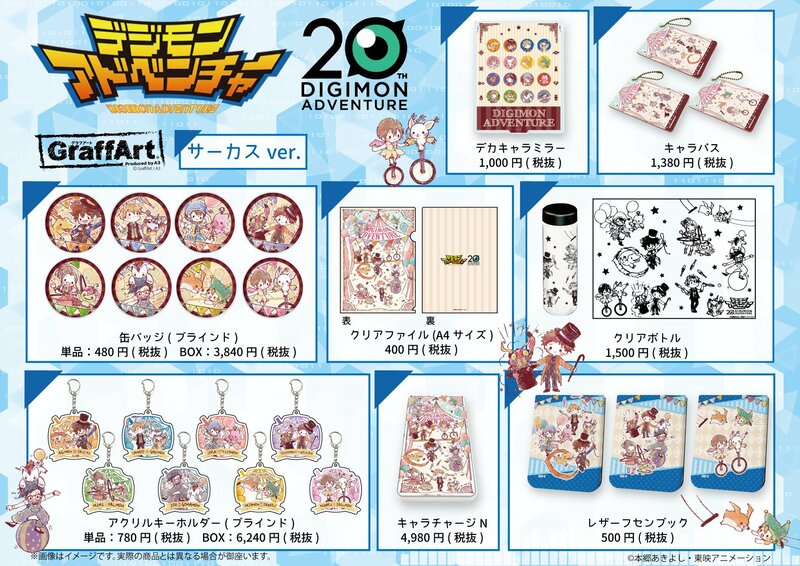 Pre-orders have gone up for normal store releases for many of the Digimon Adventure 20th Graffart products! 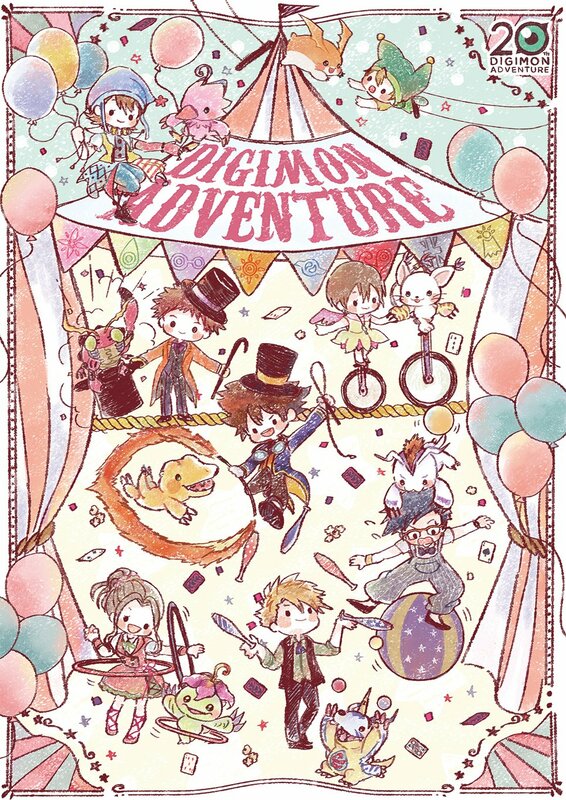 The products all feature key art done in GraffArt's signature 'graffiti chalk art' style and features all the Adventure kids and their Digimon at the circus! First announced in February, and made available at GraffArt stores roughly 2 weeks ago, the items haven't been the easiest for people to get ahold of if they wanted. Luckily that's no longer an issue for most of the products. The prices listed below are the MSRPs. 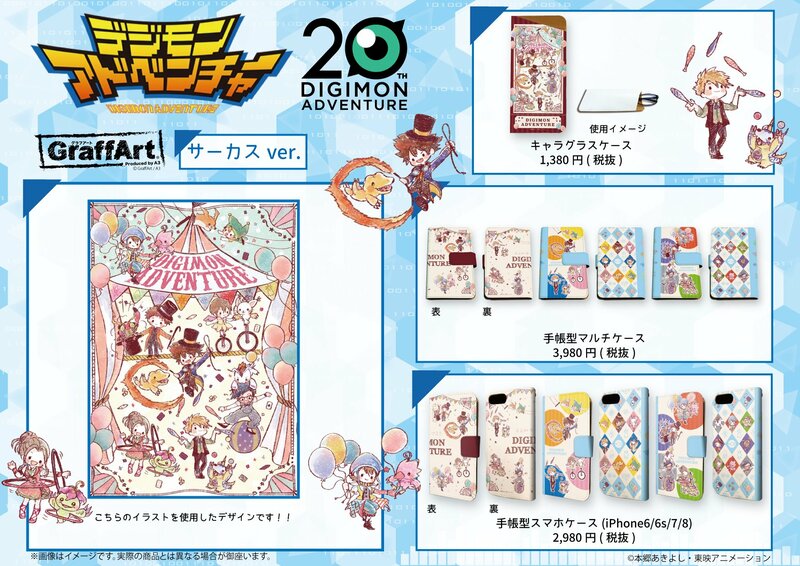 All the items are discounted slightly at CDJapan from the MSRP at the time of posting..
A glasses case for 1,380 yen. The image next to the glasses case is showing the item being used. Each of the 3 rows from left to right. A large pocket mirror for 1,000 yen. They list it as 3.6 x 4.5 inches. A clear water bottle for 1,500 yen. This should make it much easier to get these items, as intermediaries won't be needed. When/if they update with the last few products we'll add links. Previous info about the GraffArt products can be found here and here.